A lot of people like to use the word “genius” when describing Jack White, and it’s easy to see why. His mastery of so many genres, including blues, gospel, country, and rock, place him in rarefied air of modern musicians. Oh, and he can play a bit of guitar too. White’s show at Red Rocks on Wednesday demonstrated a little bit of everything. Flanked by a six-piece all-female backing band dubbed The Peacocks, White played songs from his entire repertoire. 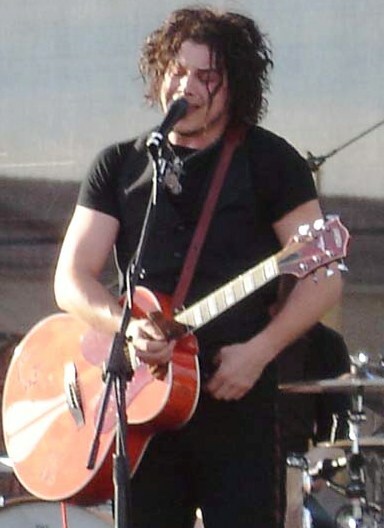 Tunes from his days with The Raconteurs and The Dead Weather peppered the set list, along with many cuts from his recent solo album Blunderbuss and of course several White Stripes favorites. The first song was “Dead Leaves and the Dirty Ground”, off The White Stripes breakthrough third album White Blood Cells. The song was a good indication of what was to come the rest of the night, with White somewhat deferring to his incredibly talented backing band and letting their skills shine through on numerous solos. Two of the better songs off Blunderbuss, “Missing Pieces” and “Love Interruption”, were next. White laid down some gnarly guitar work on “Pieces”, while backup vocalist Ruby Amanfu was able to shine on “Love Interruption”. Before the next song, White asked if the crowd liked country music. “Of course you do!” he answered himself as he launched into an extremely countrified version of “Hotel Yorba”, also off White Blood Cells. The pedal steel guitar work of Maggie Bjorklund and some impressive fiddle play from Lillie Mae Rische highlighted the song and gave it a down-home twangy-ness that had the crowd trying out their dancing shoes. While “Hotel Yorba” proved to be a nice departure from the standard version of the song, the same cannot be said about “Fell In Love With a Girl.” White and his band played this song slow and calmly, without any of the frenetic, high-energy wailing and drumming that made the song special in the first place. Since the original song was the first time I ever heard The White Stripes and was what initially got me into them, I couldn’t help but feel slightly disappointed by this relaxed, almost casual version. “I Guess I Should Go To Sleep,” off Blunderbuss, saw White swap his guitar for the piano, then switch back for “Take Me With You When You Go,” the final song off Blunderbuss. Things then slowed down a bit, with “We’re Going to Be Friends,” “Hip (Eponymous) Poor Boy,” and the title track “Blunderbuss.” These songs really allowed The Peacocks to showcase their talents, as there was nary a guitar solo to be found. However, White ended the first set loud and proud with a set of B-themed songs. “Blue Blood Blues,” the only Dead Weather song that made the set list, brought the crowd back into it with White’s guitar again taking center stage. After that was the song I was waiting for all night, “Ball and Biscuit,” a White Stripes tune off Elephant. The song kicked off with a bluesy tease before White ripped into it. He changed several of the lyrics, but it didn’t really matter because the song is really just a platform for White’s incredible guitar skills. He laid down his best work of the night, effortlessly shredding impossible solos that justified his standing as one of the world’s greatest living guitarists. It was an excellent way to end the set. After a short break, White and The Peacocks shuffled back out for a raucous encore. “Sixteen Saltines” and “Freedom at 21” two high-energy songs off Blunderbuss, kicked things off. “The Hardest Button to Button,” a classic White Stripes song, was next. 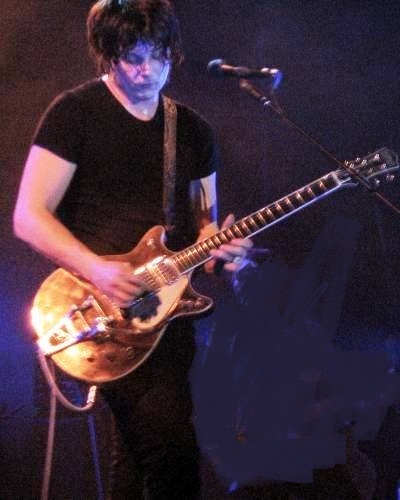 A stretched-out “Steady as She Goes,” one of three Raconteurs songs to make the set list, followed that, with White demonstrating a different, extended take on the guitar solo during the bridge. “Seven Nation Army,” perhaps the most popular song in White’s arsenal, then made its much-anticipated arrival. White busted out a gigantic hollow body guitar and played slide while the crowd sang along in what was the most participatory song of the night. After announcing to the crowd it would be the last song of the evening, White and The Peacocks closed with “Goodnight Irene,” an old folk song popularized by Lead Belly. My only qualms with the show were the length and the sound. White’s set clocked in at barely an hour and forty-five minutes, leaving me wanting more. As for the sound, I can’t really blame it on the artist. The show was sold-out and I was forced to retreat very high up. At Red Rocks, sometimes when you are at that height, the wind can really mess up the acoustics. Thus, some of the songs had a muffled quality to them. Despite those issues, it was still a superb show that demonstrated just how skilled Jack White is, which was all I was really looking for anyway. He is indeed a musical master, and it was a treat to see him playing new songs and old favorites with such talented musicians and diverse instrumentation.